With our reliable registration technology you lay the foundation for accurate measurement data. The registration technology in the gas stations forms the basis for the recording and billing of relevant measuring data. Depending on the application, different information, such as measured data or events, is recorded and archived. The devices differ, among other things, with regard to the number of measured variables to be stored, the type of data communication and the operation. This makes the ideal device available for all tasks and market participants. Depending on the application, the functions Revaluate, Register and Communicate are integrated into a device or functionally distributed over several devices. RMG also offers you complete system offers for your project. 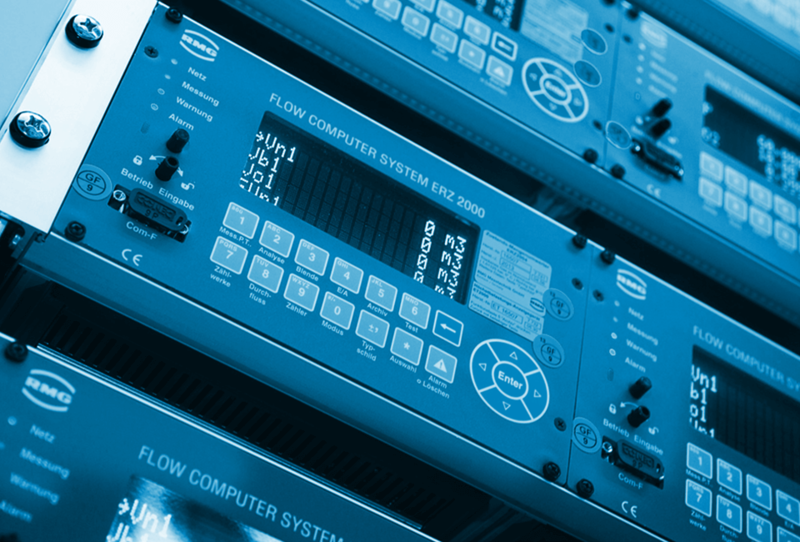 Our portfolio of gas meters, gas analyzers and software applications is combined and adapted individually to your requirements.